Nowdays , Smartphone are the basic requirement of every person in world. With the smartphone they require lots of feature , specially camera. Everyone want to capture their life’s best moment , nature , and some are passionate to photography and want to do that with smartphone. So for these person worlds best smartphone company make best camera phones with the great features like bokeh mode , portrait mode, beauty mode ,selfie shot, panorama, HDR, with high quality lenses, etc. Before choosing, it’s worth thinking about what you want from a camera phone. Do you want something that’s great at taking outdoor snaps and aren’t bothered if it’s good in low light? Is a great quick pic with friends more important than a really powerful sensor that takes amazing shots when you put the effort in? It’s also worth thinking about battery size and screen quality – if you’re going to be heading out all day and doing longer photography sessions, you’ll need a battery that can keep up. And if you’re mostly going to look at your photos on the phone, then a phone with OLED screen technology can really make your snaps pop – but if it’s social media, or even printing out your photos, that’s your plan then you’ve got a wider array of options. So here is the list of World’s Top 5 Best Camera Smartphone , have a look on the numbers and choose wisely for you. Its party piece is the triple camera setup on its rear. Yes, that’s right, three cameras, with a combined megapixel count of a staggering 68MP. Chuck the 24MP front facing camera into the mix as well and the phone has a total count of 92MP. The main 40MP camera is backed up by a 20MP black and white sensor that helps with image processing, including decreasing noise and improving dynamic range – although as default the P20 Pro shoots at 10MP. The third rear camera has a 3x ‘zoom’ lens and an 8MP sensor, letting you zoom into a scene without using digital zoom – which means there’s very little decrease in image quality when used. It’s the main sensor which is rather special though, as it has a world’s-first-on-a-phone f/1.5 aperture, meaning that it performs fantastically well in low light. That’s not all this sensor has up its sleeve though, as it also features Samsung’s new Dual Aperture Technology, allowing it to move from f/1.5 (for low light) to f/2.4 (reduces overexposure in bright scenes). The S9 Plus pulls in 28% more light with 30% less noise compared to the S8 Plus, and has the benefit of Samsung adding DRAM to its image sensor stack, allowing photos to be made up of a composite of 12 frames instead of 3 frames. You can also record slow motion video at 240fps (in 1080p) and super slow motion at 960fps (in 720p). The iPhone X has the best camera ever seen on a device from Apple – and that’s on both the front and back. The rear double sensor is capable of taking some stunning pictures in low light or bright scenes, capturing a lot of detail and erring on the side of natural colors. Combined with the OLED screen, that brings a lot of vivacity to images, with the results still looking great on social media. The combination of two 12MP sensors, one being telephoto and both packing optical image stabilization, is a nice move, and you’ll find the speed of snapping desirable. The front-facing TrueDepth camera is also very capable, bringing clear selfies and also allowing you to take blurred background snaps without using a second sensor. It’s not the best camera phone on the market, but the iPhone X is easily the best Apple’s ever created and is very close to the top. The Google Pixel 2 duo have decent sensors on the back, but amazing software processing – and both cameras are identical. That means you can take an average picture, and instantly watch it improve before your eyes as the phone stitches together multiple images. Despite only packing a single lens, the Pixel 2 pair can both take stunning portrait shots, bringing some real definition to the mix. The camera software isn’t always the best, with a tiny bit of lag in taking the picture (and waiting for the software to kick in) but the optical image stabilisation is a real boon. The primary camera on the Xperia XZ1 uses Sony’s 19-megapixel Exmor RS for Mobile memory-stacked sensor with a a f/2.0 25mm wide-angle G Lens. 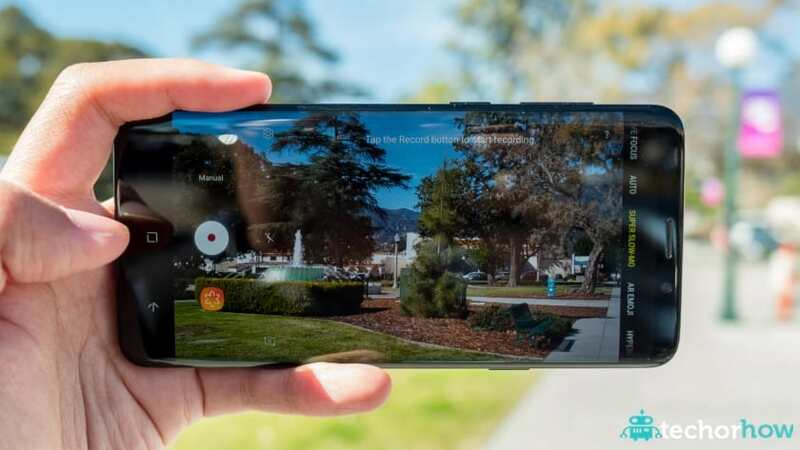 You get the same Super Slow Motion mode that we first saw on the Xperia XZ Premium where the camera captures video at 960fps for 0.184 seconds, which becomes 5.9 seconds of footage. The camera also packs Predictive Capture, which promises to detect and “capture motion and smiles before you even click”; 5-axis image stabilisation; and 4K video recording. All this combines to give images that look quite good on the phone’s display, especially when there’s plenty of light. Zoom in to full size and you’ll notice that the images have some amount of noise and lack the details that other flagship phones can capture, though most users will be fairly happy with the Xperia XZ1’s results. Still need more information , comment down below all your queries and demands we will provide best of details . Dont forget to share if you really like it.